One day Brendan Doyle came to our school and he told us about athletics and he taught us athletics. Mr. Gannon needed to pick the best athletes in 3rd and 4th. Mr Gannon picked Sebastian, Kacper, Michael, Divine, Joseph, Goodness, Pauls and Kristaps. We had to go to Moyne with 5th class and 6th class we had 2 relay races and 2 track races. We ran as fast as we could. When we came back we were exhausted. After 3 days we got the results and we came first but unhappily 5th and 6th class came 4th in Moyne. 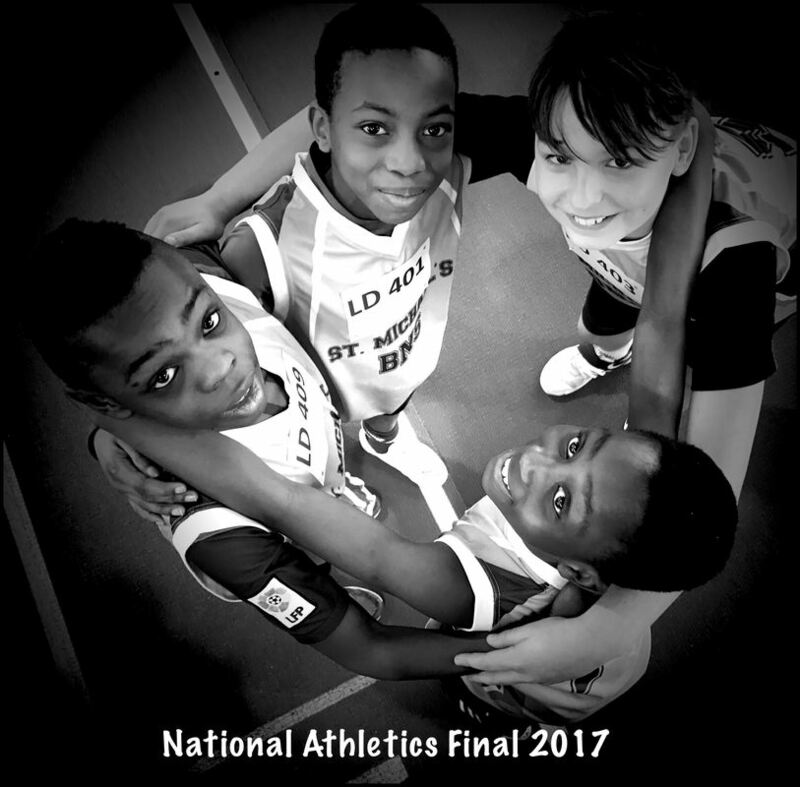 We needed 4 more players to enter the Athlone All-IRELAND ATHLETICS so Mr Gannon picked Amyan, Emmanuel, David and Alex to go to Athlone with us. Every day we trained as hard as we could. We got fit and strong. So it was the final day. We had to go to Athlone. Everybody got on the bus at Lidl and was ready to go. Mr Gannon picked what people would do the track races and relay races. The first race was the 4x50m obstacle race. Emmanuel, Michael, Divine and I were picked for the race. We ran as fast as we could and tried as hard as we could. We came 1st in the race. We won 4 races from the field section. We did the Javelin, Standing Jump and Triple Jump. We also did the 1kg Chest Push and the Standing Jump. We finished all our races and took some photos of all the team. We came back to Longford. We were that tired, that we nearly passed out!!! We had to wait 5 days to get the results. We came 5th in the ALL IRELAND ATHLETICS. 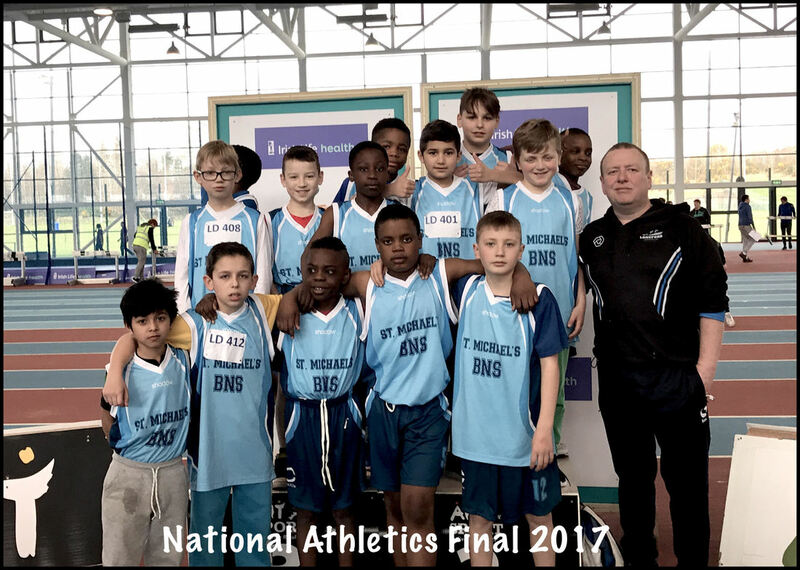 We were really surprised that we came 5th in the country in the All Ireland athletics. We thought that we would come 7th. Everybody was really surprised and our Principal said we had a homework pass and she promised us a surprise from her………Kacper…..
One day Brendan Doyle came to our school to tell us about athletics. We had never heard of athletics before! He told us the more we trained the better we would be so we trained non-stop. Mr. Gannon was picking the best athletes in 3rd and 4th class. Mr. Gannon had picked the teams. He had picked Michael, Kacper, Sebastian, Divine Goodness, Joseph, John, Pauls and Kristaps. We went to Moyne. We were with 5th class and 6th class. We ran as fast as we could and we tried our very best. We went back home after everyone was finished their race. After a few days we got the results and we came first but our fifth and sixth class came 3rd. ​Super work on the video and editing Shane Crossan. The kids were delighted with it. Thanks to Mona and Ursula in Backstage for the costumes and Denise and Kathleen for all their help. Well done boys. Great work. Today I went on a trip to see where the Camlin River starts and where it flows into the Shannon. It was a very fun trip. 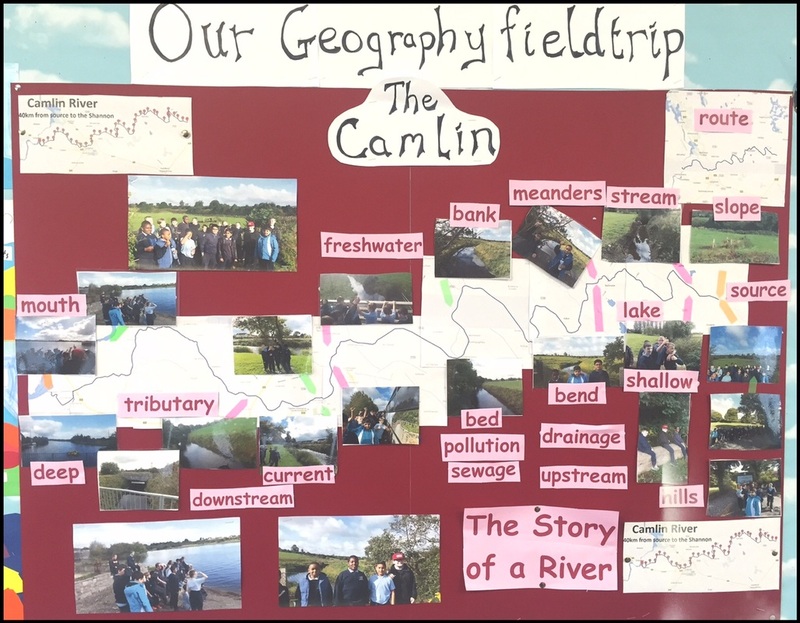 We got to go to different areas to see the Camlin River. It rises near Granard and flows through Ballinalee and Longford town before it splits into the River Shannon. We took a bus.We learned about tributaries. Tributaries are small rivers that join up with a big river to widen it. The source of the Camlin is a small well that cows sometimes drink from. As we were travelling, we stopped at the places we could see the Camlin from the road. The Camlin got bigger and bigger. We also saw it meandering through the countryside. We saw a small waterfall as well. We saw river banks and river beds. Where do fish store their money? The river bank! We found the end of the Camlin in Tarmonbarry where it spilled into the Shannon. We also got to skim pebbles at the edge of the Shannon.